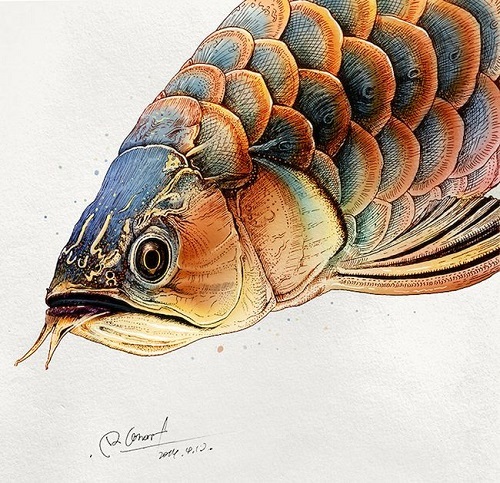 Realistic Illustrations by RLoN Wang. 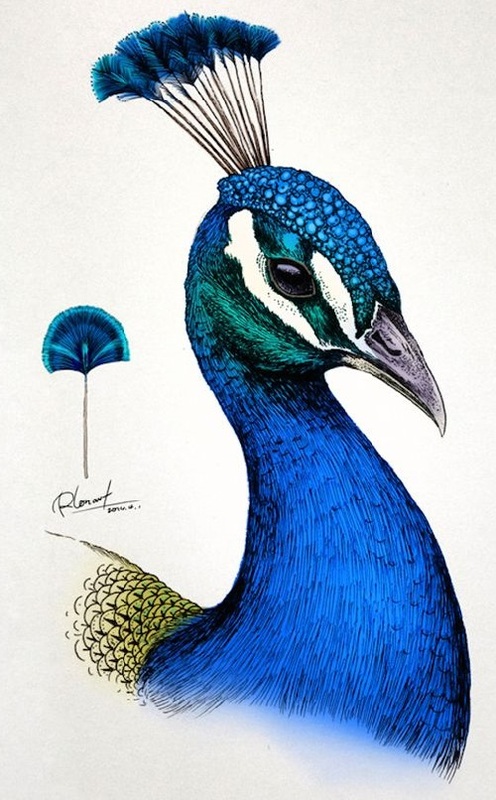 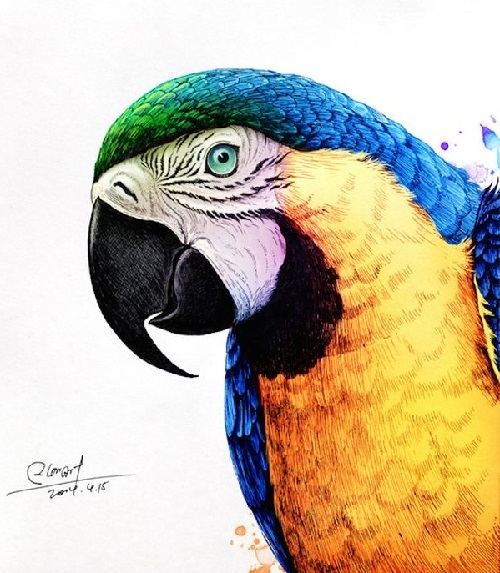 Chinese artist and designer RLoN Wang creates extremely detailed and colorful illustrations of fauna – from chameleon to a Golden Pheasant. 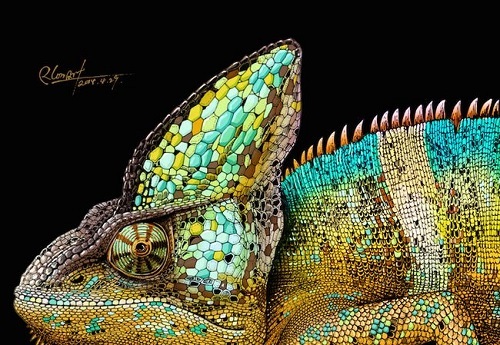 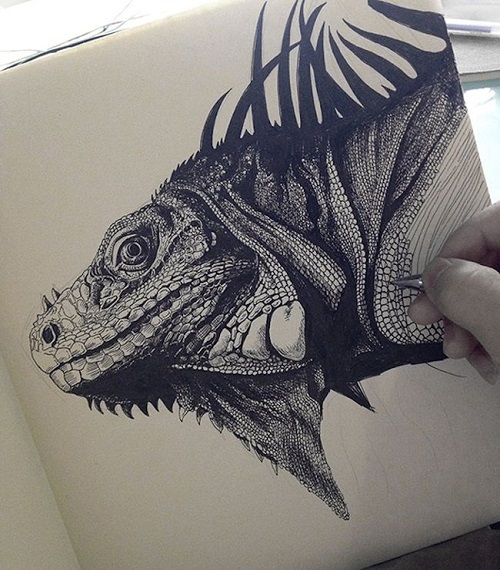 These beautiful animals look so realistic as if they could immediately start to move around the paper. 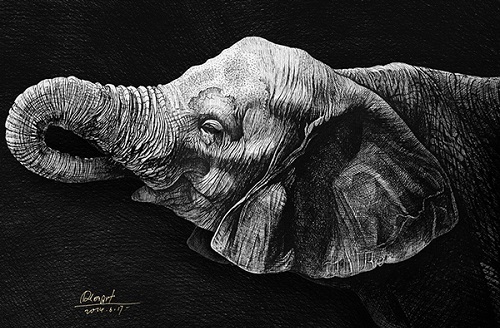 RLoN Wang uses an ink pen for his realistic drawing. 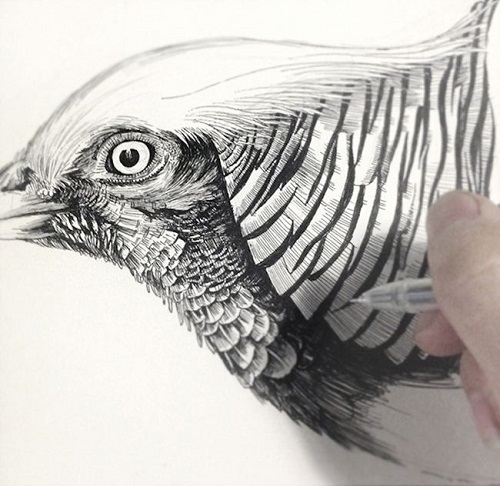 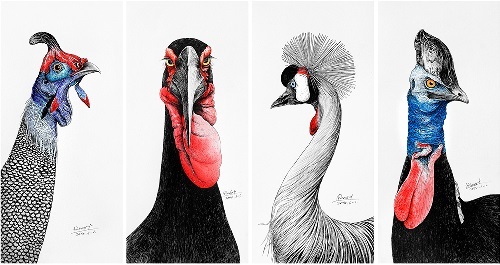 Shenzhen based artist RLoN Wang demonstrates both artistic skills and a deep knowledge in biology and wildlife. 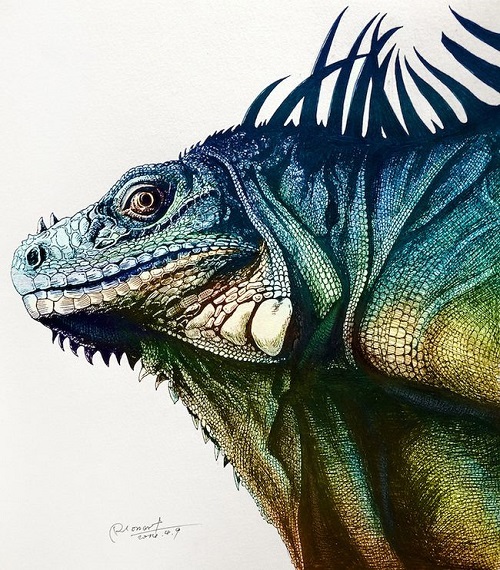 All wildlife illustrations on his website are provided with all stages of drawing and the scientific description of a depicted animal. 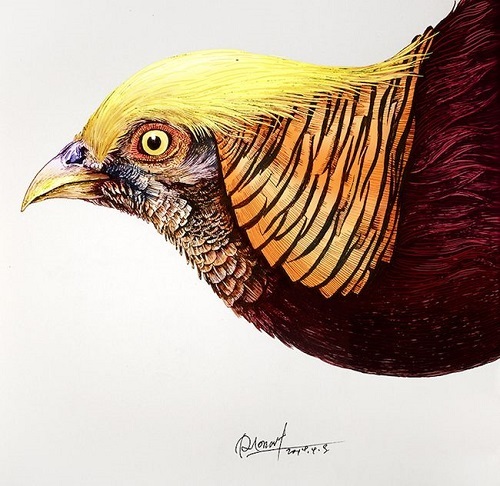 The Golden Pheasant or “Chinese Pheasant”, (Chrysolophus pictus) is a gamebird of the order Galliformes (gallinaceous birds) and the family Phasianidae. 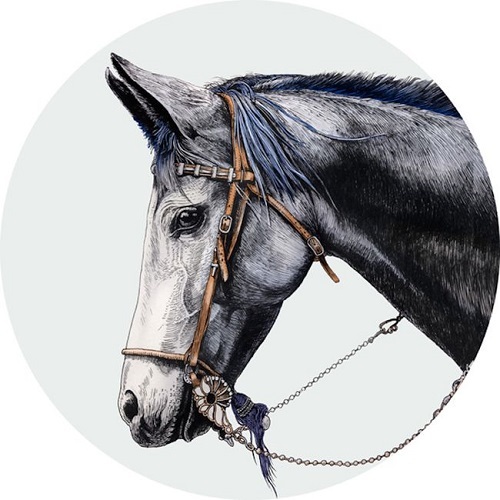 It is native to forests in mountainous areas of western China, but feral populations have been established in the United Kingdom and elsewhere. 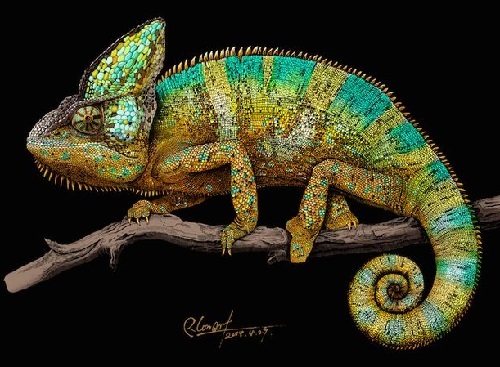 In England they may be found in East Anglia in the dense forest landscape of the Breckland.